Springtown, Texas (October 2018) – The Walnut Creek Special Utility District recently announced the upgrade of 4,800 water meters throughout the district. These new meters, provided by Smart Earth Technologies, will improve data gathering useful in handling customer inquiries and to monitor water system health performance. Government Capital Corporation was selected as the most cost effective option. Smart Earth Technologies cell based system worked best in this area because of terrain and remote areas. Studies have shown replacing old meters will increase revenue by accurate measurement of water loss. Other benefits include better data to use with customer complaints and allow customers to actually see their usage in near real time. Installation has begun and will continue through the end of 2018. “The lease purchase solution provided by Government Capital allowed us to close our financing and get started on our project much more timely. Not having to wait for approval from TCEQ enabled us to start on time. Our financing partner, Government Capital Corporation, provided excellent service. Their customer care is second to none and they follow up regularly” stated Steve Harris, General Manager. Pflugerville, Texas (August 2018) – Travis County Emergency Services District (ESD) No. 2 is adding service capabilities by constructing a new station to be located at 1541 Pflugerville Loop, Pflugerville, TX. Station 5 will include three eighty foot bays, sleeping quarters for ten as well as common and training spaces encompassing approximately 11,000 square feet. It will be located in an area of need and will decrease the workload of the nearby Station 2. The ESD has also approved constructing a warehouse facility next to Station 4 which will consolidate the District’s ordering and receiving into one central location as well as provide for an air shop, offices and work space for the facilities maintenance staff. This facility will be approximately 10,000 square feet and will provide much needed storage for District supplies and equipment. KAH Architects was selected by the ESD to provide design plans and Government Capital Corporation was selected for the financing. “I would like to congratulate the leadership of the Travis County ESD No. 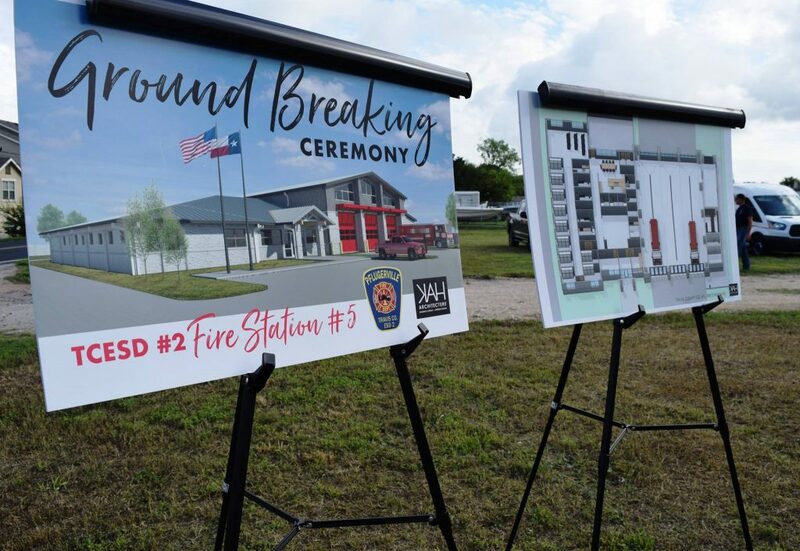 2 and the Pflugerville Fire Department on continuing to respond to the growing needs in Pflugerville and Travis County,” stated Ed King, Government Capital Senior Vice President. “Their constituents are well served by one of the leading ESDs in the state”. Founded in 1955, the Pflugerville Volunteer Fire Department started with a small truck and shortly therea􀅌er land was purchased. In 1985 the voters approved the creation of Travis County Rural Fire Prevention District (RFPD) No. 3. Growth in the community and demand for services continued to increase thus allowing for the creation of Travis County Emergency Services District No. 2. Today, Travis County ESD No. 2 provides fire suppression, fire prevention, and first response emergency medical care covering 100 square miles with personnel and equipment working out of four fire stations 24 hours a day. For more information, visit pflugervillefire.org. Government Capital Corporation is a Texas based public finance firm that provides financing and planning services to emergency services districts and other local governmental entities in Texas. For more information visit govcap.com. City of Gardendale, Alabama (August 2018) – The City of Gardendale, Alabama recently announced the order of two new fire trucks to improve services offered to the community. Working with Sunbelt Fire, Inc. of Fairhope, Alabama, the city was able to purchase an E-One custom pumper and a Sunbelt Fire LR12 light rescue Truck. Delivery of the rescue truck will be approximately four to six months, while delivery of the custom pumper is scheduled for the summer of 2019. The City of Gardendale selected Government Capital Corporation as the most cost effective financing partner for these purchases. The city of Gardendale is located in Jefferson County, just north of Birmingham. Incorporated in 1955, the city has a population of approximately 13,000 with a land area of 57 square miles. Gardendale includes approximately 470 businesses, 5 public schools, 2 private schools and more than 25 churches within the city limits. Additionally, each April Gardendale hosts a Magnolia Festival that boasts 30,000 visitors to the City. For more information, visit cityofgardendale.com. Government Capital Corporation is a leading public finance firm providing professional financial services to cities and all local governmental entities. Since its founding in 1992, the company has successfully completed thousands of project financings in Alabama and across the nation. For more information, visit govcap.com. Morgan City, Louisiana (August 2018) – The City of Morgan City, Louisiana announces the purchase of a citywide Advanced Metering Infrastructure (AMI) system. The project will include radio read water meters, electric meters, gas meters and an innovative software solution. The AMI system is being designed and installed by Aqua Metric Sales. Installation is scheduled to begin in early September with an anticipated completion of February, 2019. The City of Morgan City selected Government Capital Corporation as the financing partner for their purchase. “The 20 year fixed rate structure provided by GCC allowed the budget flexibility to facilitate the AMI project. The new system will enhance reporting efficiencies for the utility department.” stated Deborah Garber, Finance Director, City of Morgan City. Morgan City is located in Eastern St. Mary Parish on the banks of the Atchafalaya River. With a population of approximately 13,000, Morgan City hosts the annual Louisiana Shrimp & Petroleum Festival held Labor Day weekends in the city’s historic district. For more information, visit cityofmc.com. Government Capital Corporation is a leading public finance firm providing professional financial services to cities and all local governmental entities. Since its founding in 1992, the company has successfully completed thousands of project financings in Louisiana and across the nation. For more information, visit govcap.com. Howe, Oklahoma (August 2018) – Howe Public Schools recently announced the acquisition of two new 2019 school buses. The District selected the Blue Bird 71 passenger buses from Ross Transportation. Anticipated delivery of the units will be mid August. Additionally, the District selected Government Capital Corporation to provide the unique financing. “The process was straightforward. It was a quick, easy, cost-effective method to finance our much needed buses. They walked me through each step and responded quickly to our questions and needs so the funding could be completed timely,” said Scott Parks, Superintendent. “It was a pleasure working with the District. 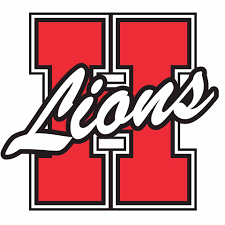 Having worked with Howe Public Schools over the last several years, their organization always makes our job easy!” stated Stephanie Cates, Client Services Manager. Howe Public Schools is a public school district based in LeFlore County in far eastern Oklahoma. Serving approximately 600 students, the District covers approximately 31 square miles. The district, which has two campuses, serves students in grades pre-kindergarten through twelve. For more information, visit howeschools.org. Government Capital Corporation is a leading public finance firm providing professional financial services to school districts and all other local governmental entities. Since its founding in 1992, the company has completed thousands of project financings in Oklahoma and across the country. For more information, call (800) 883-1199 or visit govcap.com.